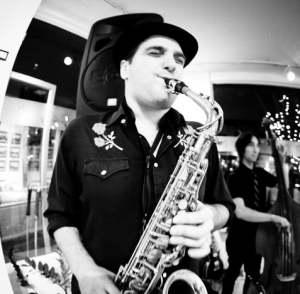 Jason Bellenkes is a professional musician, band leader, and music educator in the Bay Area. As a student and university music major, Jason studied saxophone with Dann Zinn, and clarinet with William Wohlmacher at Cal State East Bay. He has a Bachelor of Arts from Cal State East Bay in music performance, and has been teaching full time private lessons since 2003. Jason also teaches small chamber ensembles, workshops, summer camps, and full band ensembles in many locations throughout the bay area. Many of his students have been section leaders in their school bands, and have been award winning soloists at events such as CMEA. They have also participated in groups such as EL Camino Youth Symphony, California Youth Symphony, and San Jose Youth Symphony, as well as various bay area honor bands. Jason is always willing to accept new students into his studio at all levels, especially beginners. He has a passion for teaching children late elementary through high school. In his class, students will learn about how to create good tone on their instrument, and have solid technique when they play. They will also learn about music theory, and be given full knowledge of scales and chords. Students will study different styles of music from classical to jazz to pop, and discuss music history, listening and appreciation. Most importantly, he strives to achieve the students personal goals, at the same time making the lessons fun and motivating. Dane Carlson is a music educator and professional musician, having played the Oboe and English Horn professionally since 1975. Dane has a B.A. from San Jose State University, studying oboe with Lee Lincoln and conducting with Vernon Read and Higo Harada. Dane has performed with a number of local ensembles including the San Jose Symphony, Fremont Symphony, Monterey Symphony, Santa Cruz County Symphony, Pacific Philharmonic, California Pops, Opera San Jose, and West Bay Opera. Dane has also appeared and toured locally and abroad as featured soloist with a number of Bay Area ensembles. In addition to performing in symphonic and chamber ensembles, Dane enjoys coaching youth orchestra and chamber music students, and has taught Oboe performance technique and music theory privately for 35 years. Justine holds a Masters of Music in Clarinet Performance from the New England Conservatory and a Bachelors of Music from the University of Cincinnati’s prestigious College-Conservatory of Music. As a teacher, Justine emulates a number of her esteemed instructors including world renowned soloist Richard Stoltzman, brilliant pedagogue Yehuda Gilad and orchestral masters of the San Francisco and Cincinnati Symphonies- Luis Baez and Ixi Chen respectively. Justine’s teaching philosophy includes a focus on fundamentals of clarinet technique and critical thinking skills to provide students the tools they need for music making. Some of her students play in local youth symphonies, honor bands and adult community bands. Justine is a member of the Music Teachers Association of California. Karen Yu is a flute instructor and performer in the Bay Area. She graduated from Chapman University with a Music Education degree. She was born in a musical family and accepted a wide spectrum of music education from her early age. She started her teaching practice as a teaching assistant for her father at a very young age. 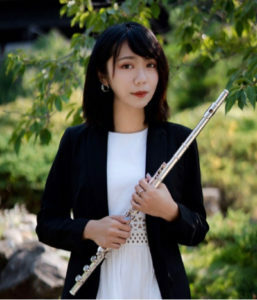 Since then, she has been motivated to become the best flute teacher. While Karen was pursuing her degree at Chapman University, she continued to teach and accumulate teaching experience. Karen also held primary music teacher positions in several music schools in southern California. She is also proficient in both English and Mandarin. In the summer of 2018, Karen relocated to the Bay Area in California. At same time, Karen joined C&L Music where she continues her endeavor to be an inspiring teacher. She is also happy to share her experiences and knowledge to all students at all levels. Learning music helps not only to pursue one’s happiness and joy but also to obtain a skill to last. with the San Jose Wind Symphony under the direction of Dr. Edward C. Harris. Clements from 1995 – 2007. California Honor Bands , the Alameda and Santa Clara County Honor Bands. Learn more about Michael over at his website.